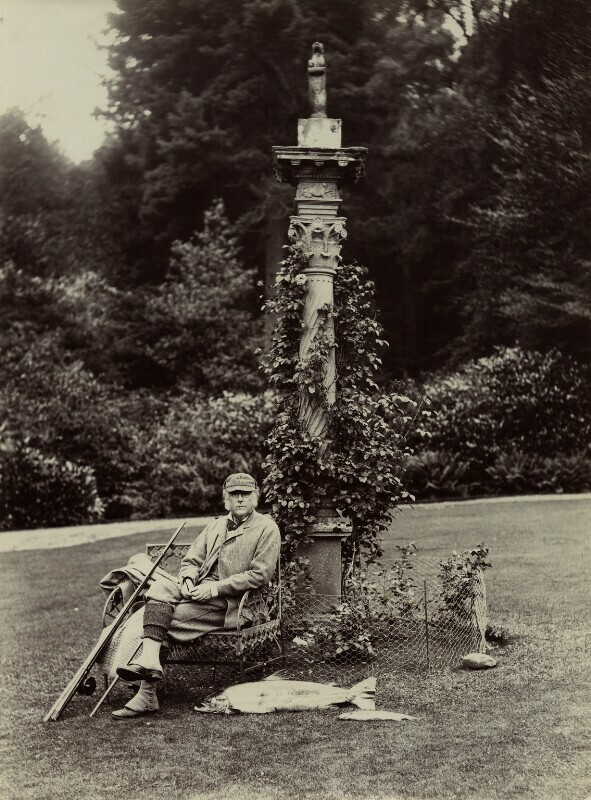 Shown seated in Dalguise, Perthshire with fishing tackle and a freshly caught salmon. This photograph was published in the Art Journal supplement (1885), and the Review of Reviews (1895). Benjamin Disraeli dies of bronchitis. He refuses a state funeral and is buried next to his wife, Mary Ann Viscountess Beaconsfield. Gladstone's Irish Land Act is passed in a bid to stop violence carried out by the republican Land League, conducted in protest at the 1870 Land Act. Henry Mayers Hyndman forms the Marxist Democratic Federation. The Natural History Museum is opened on Exhibition Road, South Kensington. The museum, a landmark gothic design by the architect Alfred Waterhouse, was built to house specimens from the natural sciences, previously in the British Museum's collection. Today, the museum comprises of over 70 million items, and is a world-renowned research centre. Alexander II is assassinated in a bomb attack by members of a left-wing revolutionary movement. He was succeeded by his son, Tsar Alexander III. US President James Garfield is shot by Charles Guiteau. The first Anglo-Boer war ends. The war is started by a Boer uprising, as the British had annexed the Transvaal in 1877. Following Britain's defeat at the Battle of Majuba Hill, a truce is signed giving the Boers self-government and later independence.